Searching for a new vehicle can be a laborious process. You probably have lots of questions. You likely want to determine which class of vehicle (pickup, crossover, large SUV, sedan and so on) fits your needs best. Then you'll want to narrow down your options from there. In a sea of sameness, sometimes it's just hard to pick. We're here to help. If you're looking for a new crossover SUV that will fit the whole family and then some, the new 2017 Toyota Highlander might just be perfect for you. The 2017 Highlander has it all. Starting at just $30,630, the Highlander LE trim features a 2.7-liter 4-cylinder engine and 6-speed automatic transmission, while all other models (notwithstanding the hybrid) get an even-more-powerful 3.5-liter V6. The Highlander features handsome exterior styling and comes in a color to suit everyone's personal preference. Shoreline blue pearl, toasted walnut pearl, and blizzard pearl are just three out of nine choices. Toyota has thought of many ways the new Highlander could be more user-friendly, including an available-onboard vacuum, smart key system, and height adjustable power liftgate. This is just the beginning, though. Toyota's largest, most family-friendly crossover also has tons of tech, cargo space aplenty, as well as headroom and legroom to accommodate even the tallest members of your social circle or family. 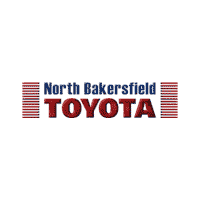 Learn more about the 2017 Highlander by contacting our knowledgeable sales team at North Bakersfield Toyota or visiting us to take a new Toyota for a test drive!